What it is: Ultra-restorative shampoo enriched with 24k Gold, Caviar, Hydrolyzed Keratin Peptide and Organic Argan Oil to repair damaged hair and deliver healthy, revitalized locks. What it does: Revitalizes hair with renewed youth. The deep conditioning formula uses micronized 24k gold particles to add shimmering highlights while a potent cocktail of vitamins, cutting-edge peptides and trace elements deeply penetrate the scalp and the heart of the hair fiber to restore from the inside out. Hair is left nourished, fortified and gorgeously glossy. Who it's for: Anyone with medium-to-thick hair, and especially those with dry, damaged, dull or color-treated hair. - : SULFATES FREE.PARABEN-FREE. MINERAL OIL FREE. PHTHALATES FREE. PARAFFIN FREE. PETROLATUM FREE. - : Intensely nourishes and regenerates from the heart of the hair fiber and scalp. 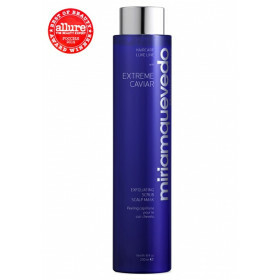 - : Revitalizes and powers the hair’s life with renewed youth. 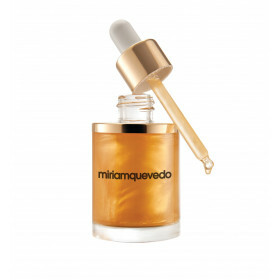 - : Helps to achieve more sublime, intensive highlights thanks to the micronized gold powder. - : Enhances hair’s vitality and activates scalp cell mechanism. - : Antioxidant and anti-irritation properties. -- : Gives added vigor and renewed strength to the hair. - : Enhances softness, silkiness and shine. - : Intense protection and moisturizing properties. - : Conditions hair, making combing easier. More manageable. Apply to wet hair and scalp. Massage in gently to create lather. Leave on for 2 to 5 minutes. Rinse thoroughly. In case of contact with eyes, rinse immediately. 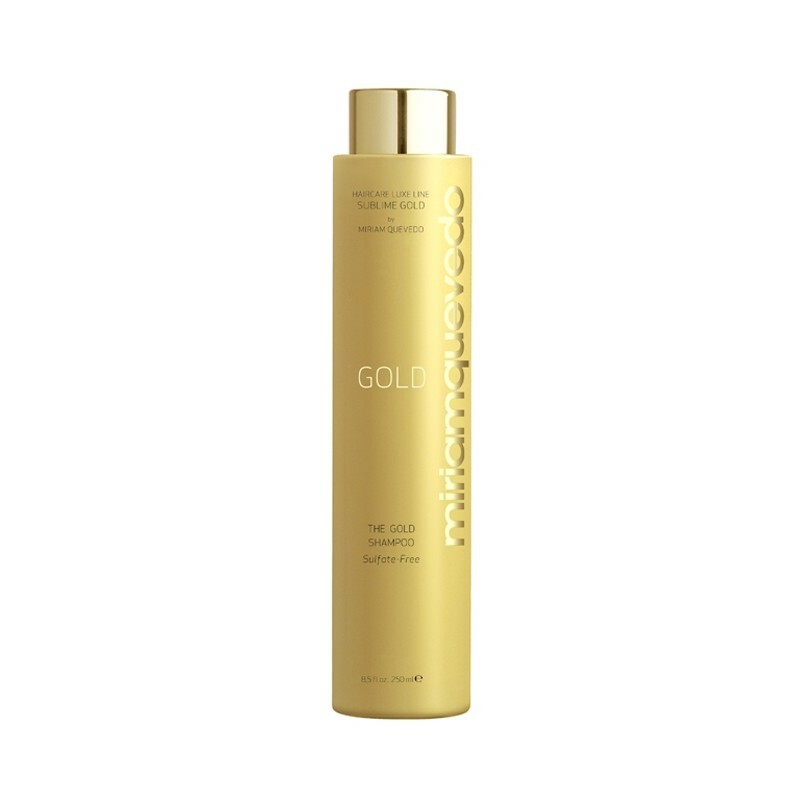 24K Micronized Gold: Gold powder enhances hair’s appearance with more vibrant golden highlights, and revitalizing action. Caviar: One of the most exclusive anti-aging ingredients given its abundant composition of essential amino acids, structuring peptides, proteins, essential fatty acids and trace elements. Intensely protects both hair and scalp and restructures broken down Keratin, all while restoring hydration, strength, and elasticity for more vibrant, youthful-looking hair. Orchid: Has hydrating, smoothing, anti-irritant and antioxidant properties. Organic Argan Oil: Has amazing nourishing and revitalizing properties for the scalp, and also strengthens hair, leaving it soft and shiny. Multi-Vitamin 8 Complex: Provides a cocktail of 8 essential vitamins (A, B2, B5, B8, C, E, H and PP) to the heart of the hair follicle and helps regulate sebaceous glands.Strengthens, protects and stimulates. Marine Collagen Peptide: Provides softening and conditioning effects while creating a protective film from root to tip and repairs damaged hair. Hydrolyzed Keratin Peptide: Repairs, replenishes and protects Keratin, the key structural component found in hair. Smoothes hair’s surface resulting in a natural and beautiful luster while creating a protective film to protect against thermal damage. Restores hair fiber giving it body, volume and shine. 5 Trace Elements Complex: Made up of magnesium, iron, zinc, copper and silicium it prevents 5-alpha reductase from converting Testosterone to Dihydrotestosterone (DHT), DHT is the leading cause of hair loss. Provides cells with critical nutrients to ensure strong division of cells and optimal hair growth. Natural Tensioactives Derived from Coconut Oil and Oats: Natural, scalp-friendly cleanser that minimizes color fading.